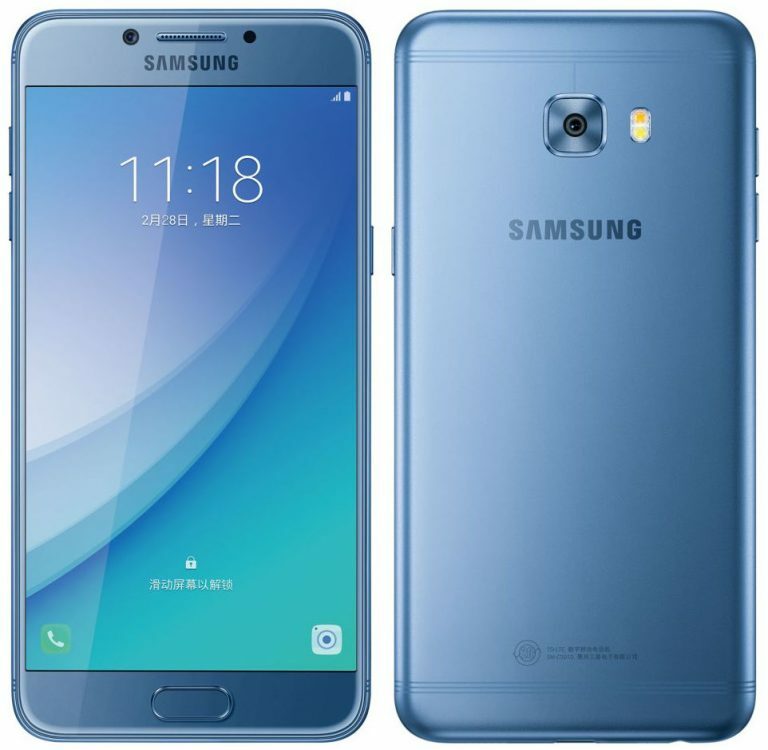 Samsung announced the company’s latest smartphone, Samsung Galaxy C5 Pro in the ‘Galaxy C series’. Let us have a brief look at its specifications. The smartphone sports a 5.2-inch full HD super AMOLED display at a resolution of 1920 x 1080 pixels. It is powered by 2.2GHz Octa-Core Snapdragon 626 14nm processor with Adreno 506 GPU and runs on Android 6.0.1 (Marshmallow) out of the box. The device comes with 4 GB RAM and 64 GB internal storage that can be expanded up to 256 GB using microSD card. It has 16-megapixel primary camera with f/1.9 aperture, dual-tone LED Flash and 16-megapixel front camera with f/1.9 aperture. The mobile is equipped with a fingerprint sensor on board to provide an extra layer of security besides supporting 4G VoLTE, Wi-Fi 802.11a/b/g/n (2.4 + 5GHz), Bluetooth v 4.2, GPS, NFC, USB Type-C and Hybrid Dual SIM (nano+nano/microSD) connectivity features. Galaxy C5 Pro packs a 2600 mAh battery with fast charging technology and weighs 145 grams with 145.7 x 71.4 x 7mm size measurements. Galaxy C5 Pro will be available in Rose Gold, Blue and Gold colors at a price of 2499 yuan (US$ 360 / Rs. 24,130 approx.). The mobile is currently available for pre-order in China and will go on sale later this month.